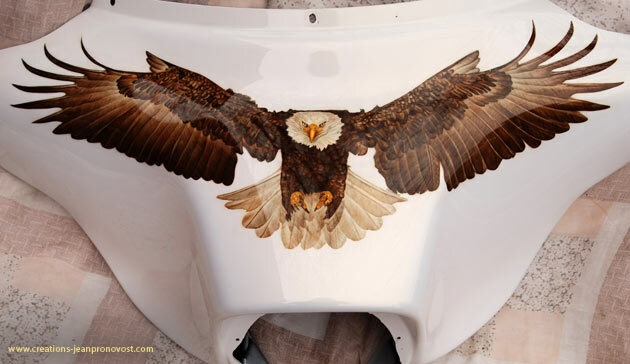 To all motorcycle aficionados, Jean Pronovost’s experience as a painter and sculptor gives you the opportunity to imagine for your Harley Davidson or Asian motorcycle what the best paint shops cannot hope to offer. 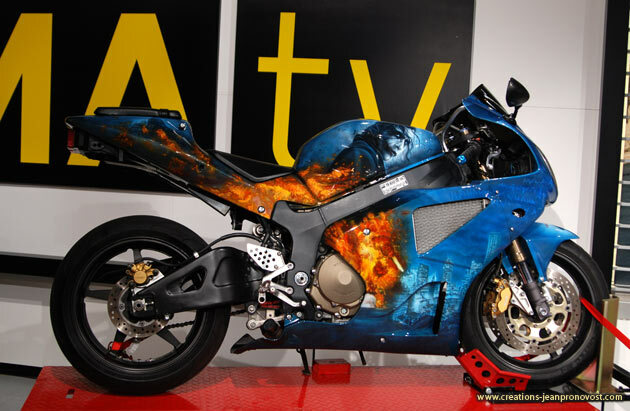 Working on metal as well as on fibre glass, Jean Pronovost can embellish, repaint and even recast motorcycle’s parts for a truly customized look. You will be astounded by his talent, imagination and know how in this specialized field. 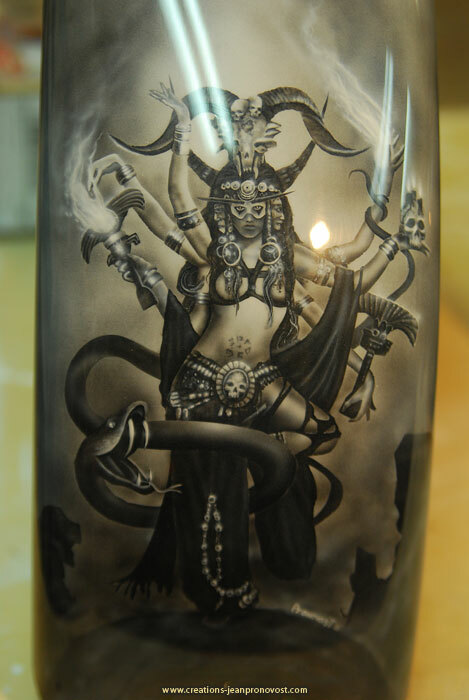 Airbrushed onto a motorcycle gas tank, Jean Pronovost faithfully reproduced the painting of H.G.Giger, the Swiss surrealist painter. 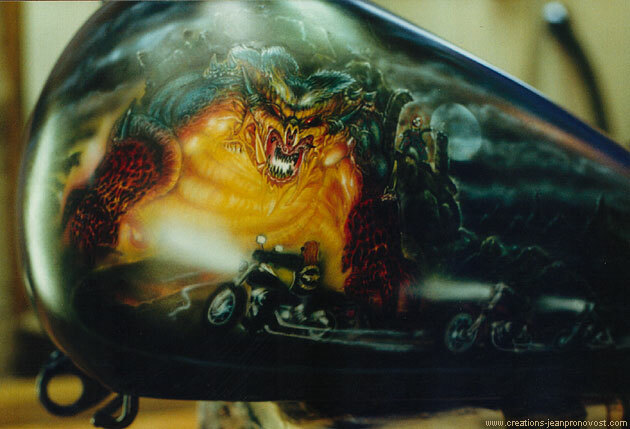 This airbrush project on a Harley motorcycle was very very interesting for Creations Jean Pronovost. The client’s only demand was for the bike design to be as close as possible of one of Jean Pronovost sculptures, Hecate, based on a ancient greece goddess. Here’s the front wing of the Harley…. 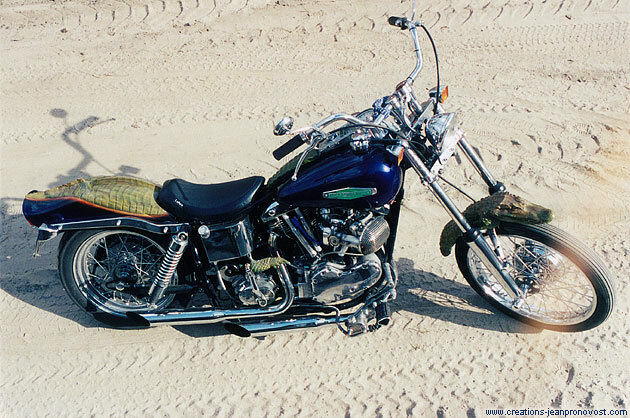 The front wing of this Harley Davidson bike was totally repainted by Jean Pronovost in 1999 for an individual from Quebec City. 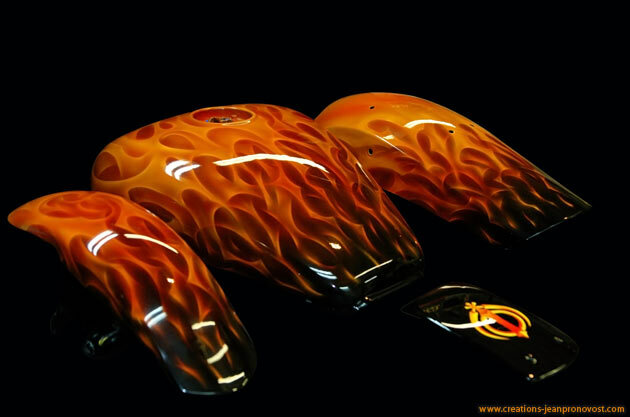 To get this eye-catching result, each piece was airbrushed with candy and pearl urethane paints. 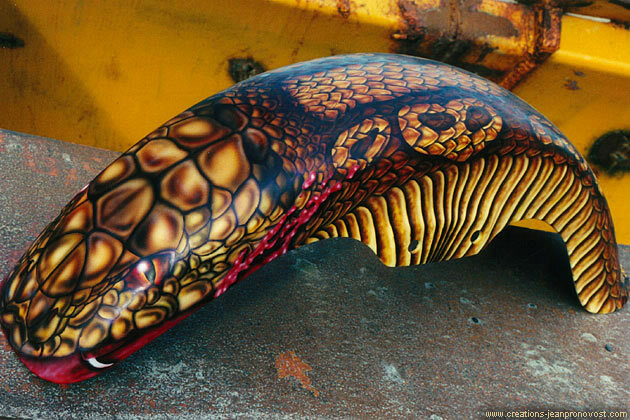 Harley Davidson motorcycle’s gas tank airbrushed in a tribal style, the skulls and the fluid lines were designed to infuse the bike with a sense of movement. 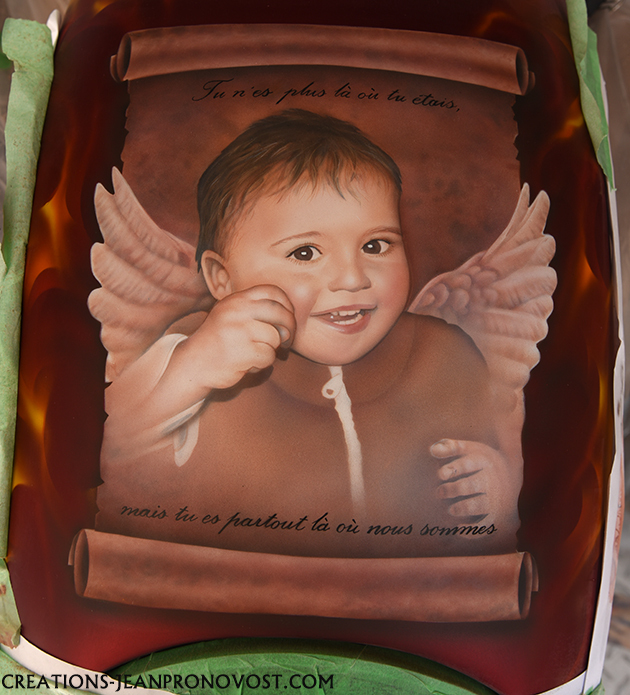 Airbrushed painting on a Harley Davidson’s gas tank. These two examples demonstrate how well Jean Pronovost can adapt to themes of all kinds, from medieval to fantasy, and recreate intense atmospheres limited only by the imagination.